Mothers Day | Cocoa & Co. Wonderful selection of special chocolates ideal for Mothers Day gifts now in stock. 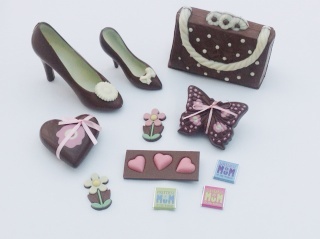 Beautiful chocolate shoes, handbags, butterflies and flowers. A large choice of loose chocolates to put into pretty boxes with coordinating ribbon!